Fairfax’s Sydney Morning Herald was the highest-reaching title with 5.18m readers. News media audiences grew by 2% in 2017 for the second consecutive year, according to the latest emma (Enhanced Media Metrics Australia) data for December 2017 released this week. In December 2017, 16.9 million people, or 90% of the population (aged 14+), read news media across all platforms. Almost three quarters of the population (74%, or 13.8 million people) consumed news media on digital devices such as smartphones, tablets and laptops. Newspapers alone were read by 12.8 million people, or 68% of the population in December. National news media was read by 2.5 million, or 13%, of the population. Metro newspapers were read by 10.6 million people, or 56% of consumers, over the same period. Regional and community news media brands were read by 6.5 million people, or 35% of the population during December. A total of 3.1 million people (or 17% aged 14+), read regional newspapers, while community newspapers were read by 3.5 million (or 19% aged 14+). 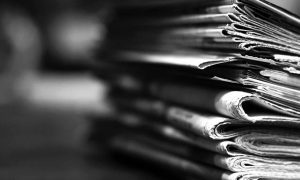 “Since 2015 we have seen more than half a million additional Australians turning to news media, consuming premium content they know they can trust. The great majority of major news brands have seen readership growth in print and digital audiences in 2017. In contrast, Australian’s social media usage is now in year-on-year decline, consistent with negative audience growth in Canada and the US,” NewsMediaWorks CEO Peter Miller said. 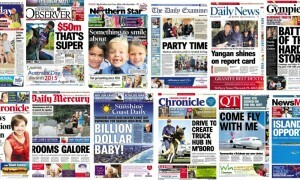 The Sydney Morning Herald is Australia’s highest-reaching title across all platforms with 5.18 million readers. 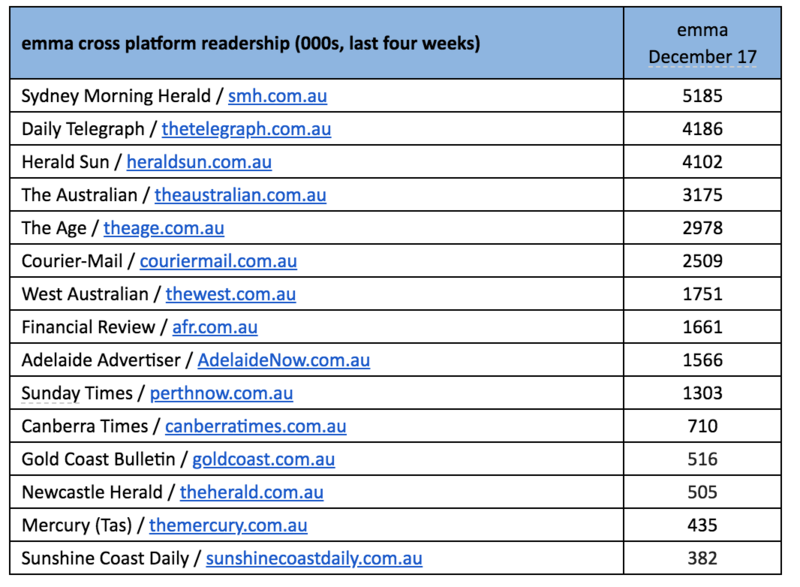 The Daily Telegraph followed, reaching 4.18 million readers and the Herald Sun on 4.1 million (see table below).